In honour of Quilt Day I would like to I would like to share another of my recent holiday finished with you; The Scattered Cushion. The Scattered Cushion has been very much a holiday sewing project, and is a bit of a milestone finish for me. I started this one a couple of years ago while summer camping by the sea in Ireland. Originally intended as a swap project I quickly made it my own when my swap partner at the time appeared to disappear from the swap. Having slowly pieced the cushion top I decided it would be the perfect project to try some hand quilting on. It took me some time to get a collection of threads together. 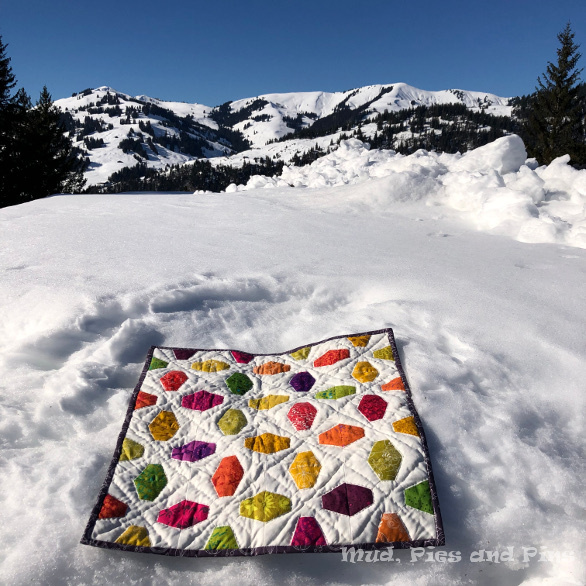 I opted to use aurifil 28wt for the quilting and when selecting colours I put together a collection that should work for many of the EPP projects that I have hand quilting plans for. 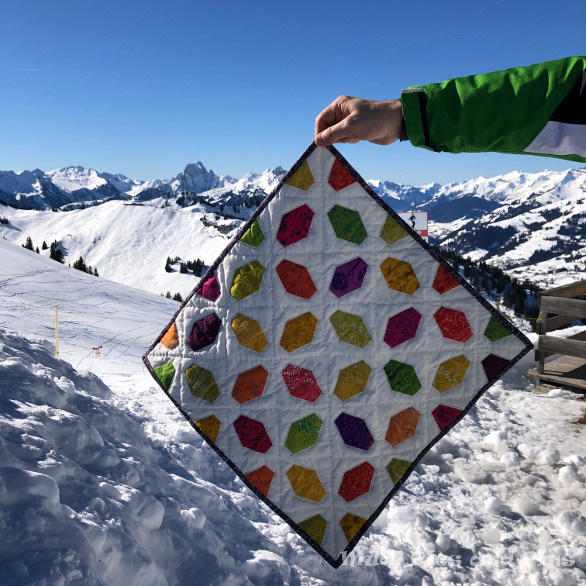 Again this became a bit of a holiday quilting project as it spent summer afternoons out and about with me as the boys enjoyed their free time. 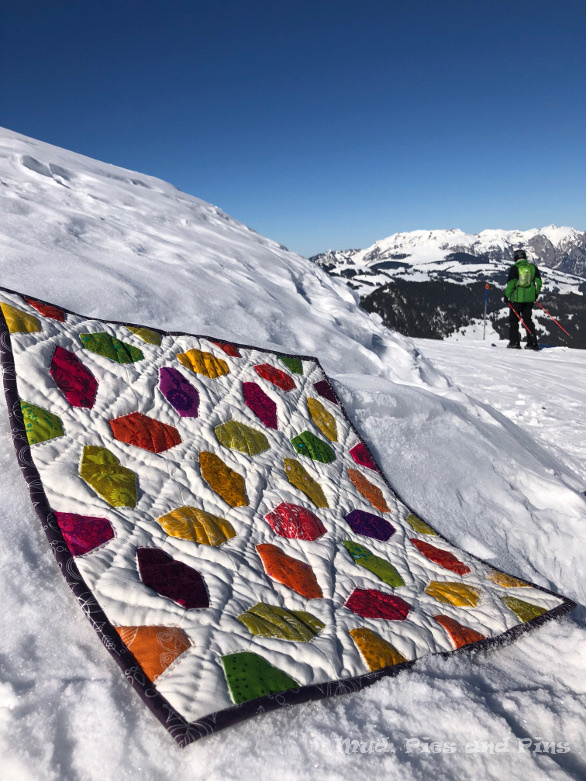 I finally finished the quilting over the winter break and made use of free time during our early year escapes ot the mountains to turn the top into a cushion cover. 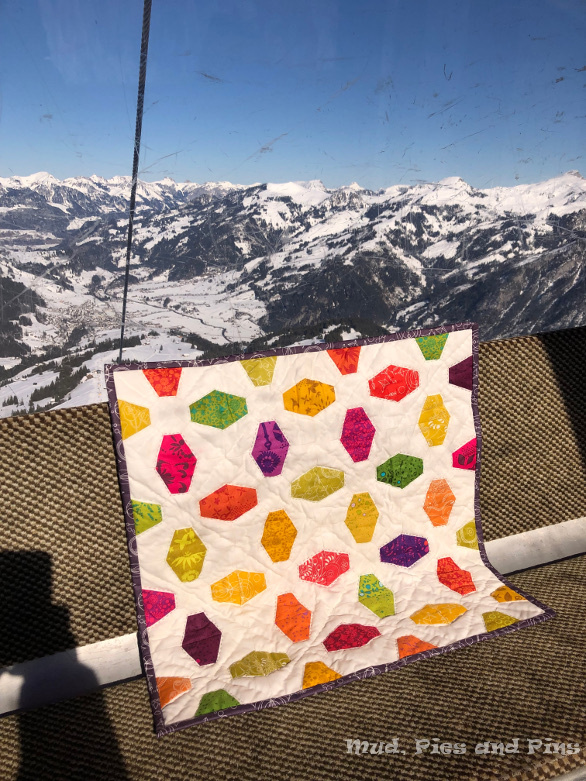 The binding was finally finished on a mountain top trip and I love that the cushion cover that began its life by the sea in Ireland was finally finished on top of Swiss alp. The Scattered Cushion is the first project that I have hand quilted and I already know this a skill I want to develop and build upon. I love that this cushion has been hand pieced, hand quilted and hand bound and I I hopt that it isn’t too long before I have a few quilts that I can say the same thing about. I have the tops ready to go and hopefully now that spring is here I will get time to start working on getting them quilted.